What are grain handling facilities? Grain handling facilities are facilities that may receive, handle, store, process and ship bulk raw agricultural commodities such as (but not limited to) corn, wheat, oats, barley, sunflower seeds, and soybeans. What are the hazards in grain handling facilities? The grain handling industry is a high hazard industry where workers can be exposed to numerous serious and life threatening hazards. These hazards include: fires and explosions from grain dust accumulation, suffocation from engulfment and entrapment in grain bins, falls from heights and crushing injuries and amputations from grain handling equipment. 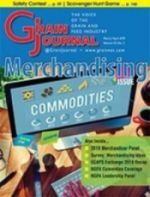 In 2010, 51 workers were engulfed by grain stored in bins, and 26 died-the highest number on record, according to a report issued by Purdue University Suffocation can occur when a worker becomes buried (engulfed) by grain as they walk on moving grain or attempt to clear grain built up on the inside of a bin. Moving grain acts like "quicksand" and can bury a worker in seconds. "Bridged" grain and vertical piles of stored grain can also collapse unexpectedly if a worker stands on or near it. The behavior and weight of the grain make it extremely difficult for a worker to get out of it without assistance. OSHA has sent notification letters to approximately 13,000 grain elevator operators warning the employers to not allow workers to enter grain storage facilities without proper equipment, precautions (such as turning off and locking/tagging out all equipment used so that the grain is no being emptied or moving into the bin) and training. Grain dust explosions are often severe, involving loss of life and substantial property damage. 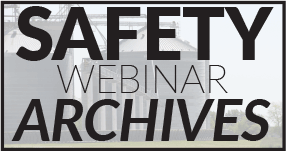 Over the last 35 years, there have been over 500 explosions in grain handling facilities across the United States, which have killed more than 180 people and injured more than 675. Grain dust is the main source of fuel for explosions in grain handling. Grain dust is highly combustible and can burn or explode if enough becomes airborne or accumulates on a surface and finds an ignition source (such as hot bearing, overheated motor, misaligned conveyor belt, welding, cutting, and brazing). OSHA standards require that both grain dust and ignition sources must be controlled in grain elevators to prevent these often deadly explosions. Falls from height can occur from many walking/working surfaces throughout a grain handling facility. Examples of such surfaces include (but are not limited to) floors, machinery, structures, roofs, skylights, unguarded holes, wall and floor openings, ladders, unguarded catwalks, platforms and manlifts. Falls can also occur as workers move from the vertical exterior ladders on grain bins to the bin roof or through a bin entrance. Mechanical equipment within grain storage structures, such as augers and conveyors, present serious entanglement and amputation hazards. Workers can easily get their limbs caught in improperly guarded moving parts of such mechanical equipment. Storage structures can also develop hazardous atmospheres due to gases given off from spoiling grain or fumigation. Workers may be exposed to unhealthy levels of airborne contaminants, including molds, chemical fumigants (toxic chemicals), and gases associated with decaying and fermenting silage. Fumigants are commonly used for insect control on stored grain and many have inadequate warning properties. Exposure to fumigants may cause permanent central nervous system damage, heart and vascular disease, and lung edema as well as cancer. These gases may result in a worker passing out and falling into the grain, thus becoming engulfed and suffocating or otherwise injuring themselves.